Joel Caudill, DDS, provides general dentistry services including exams, fillings, crowns, bridges, dentures, dental implants and restorations, bone grafting, gummy smile treatment, extractions, root canal therapy, veneers, teeth whitening, and periodontal disease management. Plus, his office strives to accomodate dental emergencies on the same day. 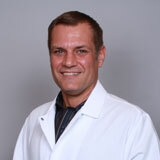 Dr. Caudill is accepting new patients age 10 and older. He earned his Doctor of Dental Surgery degree at Case Western University School of Dentistry in Cleveland, OH. His undergraduate degree is from Transylvania University in Lexington, KY. He is a member of the Academy of General Dentistry and the American Academy of Cosmetic Dentistry. 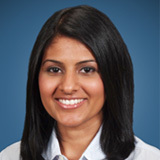 Mayuri Patel, DMD, provides orthodontic services to patients beginning at age 7. Her services include traditional metal braces, clear bracket braces, Invisalign® clear aligners and comprehensive orthodontics. Dr. Patel earned a Certificate in Orthodontics and Dentofacial Orthopedics from Washington Hospital Center in Washington, DC. 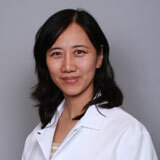 She received her dental degree from Tufts University School of Dental Medicine in Boston, Massachusetts. Dr. Patel is a member of the American Dental Association, American Association of Orthodontists, Florida Dental Association and Florida Association of Orthodontists.